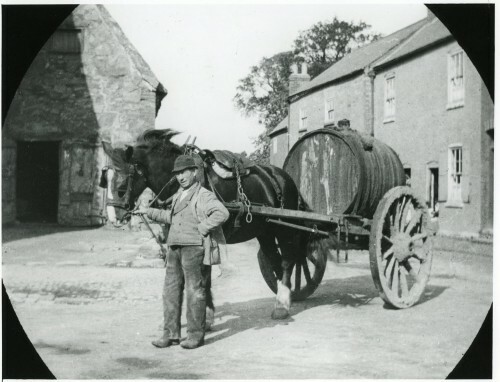 The Tar Tub was a familiar sight in Quorn. Tar was loaded into the tub at the Gas Works and taken to Barrow sidings by the Gamble brothers who also brought the coal from Barrow Station to the Gas Works. Village children were often sent to sniff the tar at the Works as it was believed to be beneficial in relieving congestion when they had coughs and colds. Missing information: Can you identify the buildings in this image?